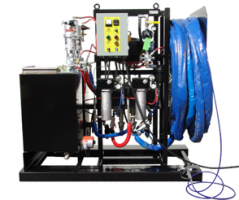 Spray Equipment - Spray Paint Equipment Supplier | Spray Quip, Inc.
Spray-Quip specializes in the sale, service, and rental of standard and custom built fluid application spray applicators and spray systems. 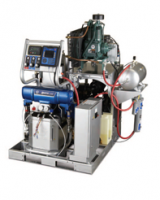 We are one of the largest distributors of world-class plural component spray foam systems and equipment, from manufacturers like Graco, Nordson, Binks, and more. Our products are compatible with all commonly used protective coatings. 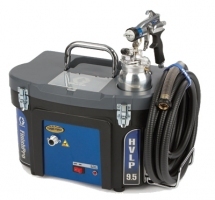 Spray-Quip is a leading supplier of spray equipment rentals. We offer an extensive, well-maintained rental fleet of standard, custom, and packaged equipment and systems including extruders, foam dispense units, sealant dispense units, and more. Rental equipment is often the proper choice for many coating applications and we strive to provide the most cost-effective solutions for our customers. Our highly knowledgeable technical support team is available to assist in choosing the correct rental type and size for your spray coating applications. We understand that it is not always cost-effective or necessary to purchase new equipment. Benefits to renting spray equipment include: getting the right equipment for each new job, freeing up capital for other profitable uses, and improving your bottom line. Our staff has well over 150 years of combined experience, offering exceptional technical support, training and maintenance to our customers, both at our location or in the field to support the application of protective coatings, sealants, adhesives and spray foam insulation among others. We offer knowledgeable support on all of our equipment from preventative maintenance and repairing, to advice on material application. 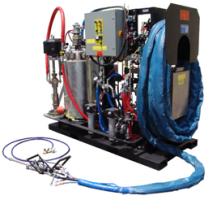 Spray-Quip offers a complete service center to repair your spray equipment, including spray guns, proportioning units, material pumps, transfer pumps, hot melt, electrostatic and spray machines.